VOCAL is celebrating over 30 years as a leading designer of innovative solutions for Voice, Video, Fax and Data communications. VOCAL specializes in voice and VoIP technologies for telephony, network, mobile and radio applications. 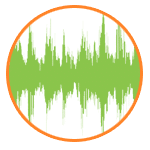 VOCAL's expertise is the design and development of software and hardware telecommunications solutions under license for voice, video, fax, and data. Our innovative designs have been incorporated into ATAs, VoIP servers and CPE, HPNA-based IPBXs, video surveillance, voice and data RF devices, secure government devices, lawful interception systems, medical devices, embedded modems, M2M communications, Fax over IP, Modem over IP, and Radio over IP systems for business, government, military, and consumer applications. Our Engineers can design a custom solution to address your specific application requirements. Our VoIP solutions are used in a wide range of voice and video conferencing, mobile and radio communications solutions. VOCAL provides turn-key and custom designs to meet your VoIP application requirements. Our acoustic echo cancellation, acoustic beamforming and audio noise reduction solutions ensure you will always be able to hear the person on the other end of the line. Our voice quality enhancement enables you to clearly understand what is being said. 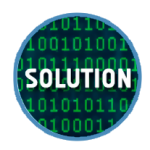 Our lawful interception solutions decode analog and digital voice, fax and data communications as well as provide compliance for corporate policies and government regulations in all business communications.